1Prior to the procedure, a number of tests will be run to ensure the suitability of the sinuses, which may include panoramic radio scans and CT scans. 2Similarly to a bone graft procedure, there are several options for the new bone material: from the patient, from other tissue sources (human or animal), or synthetic. Your dentist will advise which will be best for you. 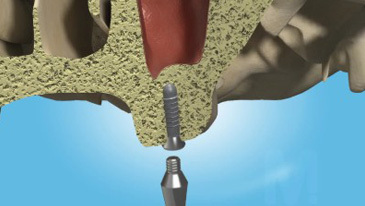 3The sinus lift procedure will be performed by the dentist while you are under general anaesthetic. 4After a period of time, the site will be healed and ready for implants.